When you’re meeting someone new, you’ve got less than a second to make a positive impression. And your hairdo can speak volumes about you in general. 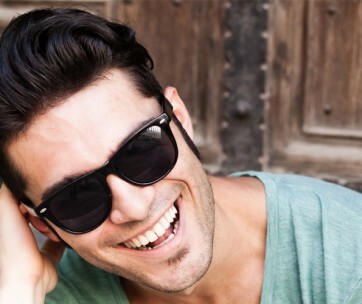 Well-groomed locks can emphasize your looks, outfit, and your style in general. But it takes much more than a fashionable haircut to sparkle. You must know how to pick the best hairstyle for your hair type. Because truth be told, it’s always better to rock a hairstyle that fits you like a glove than a trendy one that looks meh on you. So, let’s shed some light on the matter and see which hairdos fit you regardless of the type of your locks. 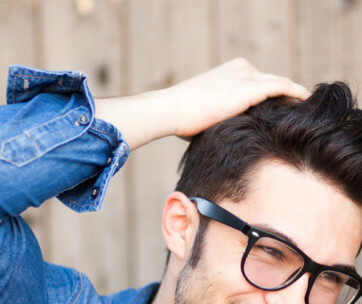 Thick hair comes in all forms, from soft and wavy to wiry or coarse. It’s often characterized by fullness, and superficially, it’s something to be envied. After all, it shows no hint of baldness. What those who envy you don’t understand, is that thick hair is truly hard to manage. A full mane also comes with responsibilities. It requires regular cuts and specific hair products to style it. That said, there is a bountiful range of haircuts and styles that work well with thick locks. From a slick pompadour to a bask characterized by shaggy layers, you can try it all. Thick hair also keeps its shape wonderfully when styled, so you’ll always be able to master a man bun. If you want to soften it up to make it look sleeker, a moisturizing hair spray can be your best friend. A thing that can be worse than thick hair is thin hair. This type comes with a host of challenges, from bolder spots to limp and lifeless locks. Styling fine hair also feels more like a punishment than a blessing, especially in those mornings when you’ve hit the snooze button one too many times. Because thin hair lacks volume and density, you’re gonna have to focus on using specific styling products, such as hair mousses and volumizing hair sprays. When it comes to hairdos to go with your hair, just steer clear of short cuts. A longish hairstyle will add weight and body to your locks. Mid-length swept back style is perhaps your best bet, although some wilder looks can also do you justice. Wavy hair brings the best of both worlds, regardless if it’s thick or thin. You can style it relatively easy and enjoy a natural volume haters can only dream of. Your biggest challenge is frizz, but luckily, there are many styling products developed specifically for moisturizing dry locks. As a wavy hair possessor, you may not see the advantages of such a type straight away though. Half-way between curly and straight, it might leave you utterly confused as to what to do with it. Styling wavy locks may require a little more attention, but there are plenty of hairdos you can think of. Since you need to give it purpose and direction, the best thing to do is to go longer on top and shorter on the back and sides. Then, arrange it in a messy crop, and you’ll surely make heads turn with admiration. As for the daily care, the key to keeping your locks manageable is moisturizing. Get yourself a wavy hair oil and avoid harsh products, such as the ordinary dandruff shampoos. One thing you can be proud of though is that it’s naturally shiny, a thing many possessors of Caucasian hair can only dream of. That said, you’ll most likely struggle every morning to make your hair retain the styles you put in place. Good hair clays may help, but you must also find the go-to hairdo before investing hundreds in styling products and gear. Due to your hair’s density that tends to drag it down rather than adding volume, it’s best to pick a hairstyle that works with gravity rather than against it. Get a sharp geometric cut that needs little to no styling, and arrange it in a messy pattern each morning. A shorter on the back and sides and longer on top style, as well as a longer fringe, may be a splendid choice if you’re that guy who aims for minimal maintenance. If you’re really stubborn and want to add some volume to your locks, don’t rely on hair clay alone. Get yourself a decent volumizing hairspray and invest in a good quality hairdryer. The kind with a ceramic heating element and ionic action may just get you some of the volume you’re craving for. Afro hair is the spoiled child of all hair types. It can be massively different from one person to the next, and even if there may be similarities between it, stylists agree it’s daunting to work with it. From slightly wavy to heavily coiled, varying thicknesses and textures, afro hair can be styled in many and all challenging ways. One of the biggest issues you may face is a total lack of shine, not to mention dryness. A specific afro hair serum and hydrating hair masks may give you a helping hand when it comes to styling, but you must also check your haircut wisely. The good thing is that due to texture, Afro hair tends to stay as you put it. Pick a haircut that works well with a curly pattern and style it as you like best. If your hair is more wavy than curly, a blunt fringe and a fade on sides could work wonders. Tighter coils may benefit more from a squared cut on top. Also choose appropriate styling products, such as a curl enhancer and styling creams developed for curly hair. The name of this hair type says it all. Unruly hair is, oh well, unruly. Don’t expect it to stay in the shape you’ve styled it for more than a few hours. That is if you manage to style it in the first place. Perhaps most mornings you’ll just decide to leave it as it is, but if you want to look presentable, you will have to use some sort of styling. Luckily for you, unruly hair has texture, a feature other hair types may lack, so it will be kind of easier to pick a hairstyle. The golden rule is – go for full measures. If you like it longish, let it grow to your shoulders. If you like it shorter, just cut those damn locks and keep ’em short. Don’t opt for a medium length hairstyle just because you can’t seem to decide which length you like best. Talk to your barber and let him pick a cut that works well with your face shape and that adds weight and texture. A shaggy face-framing mop could be your best choice though. And for all those mornings when your hair acts like an uncontrolled teenager, good hair gels could lend a helping hand. As much as we’d want to hide from it, alopecia and thinning hair are real. 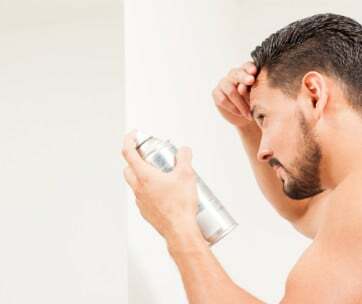 If you’re one of those guys struggling to keep their hair follicles so that they can have something to style in the years to come, know that minoxidil could help. That said, how do you manage thinning hair? How do you fix the lack of volume without causing even more hair loss? If you’re the possessor of such temperamental tresses, know that a blunt medium-length chop could be the best idea. A short French crop or buzz cut can also work wonders with this hair type, at least until your follicles decide to pack their bags and go for good. With that in mind, you now should know how to pick a hairstyle for your hair type. So, pick it and rock it, so that your personality can shine!